I hope you had a chance to check out our website. If so, then you had a chance to see what the ICEBUDDY looks like. Today. I’m going to explain how to make being prepared at all times part of your lifestyle. It’s easy when you have an ICEBUDDY. The last time we were together, I explained that the ICEBUDDY system has modernized the conventional backpack and cooler by changing its design and integrating new technology. These critical alterations allowed them to be merged together FOR THE FIRST TIME into a lifesaving system. Ready to have your mind blown? Let’s Go! 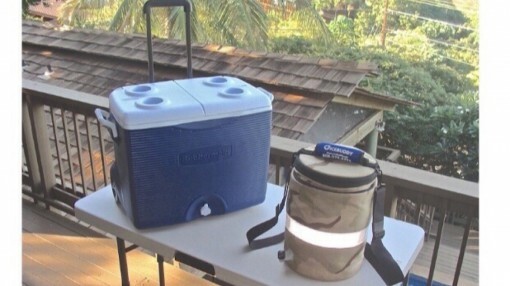 The first component of the ICEBUDDY system is the reimagined, redesigned cooler. This is so cool.. pun intended… that we spell ours Q-O-O-L-E-R to showcase its unique difference. Let’s stop here for a moment. If you own a conventional cooler you know first hand that it doesn’t keep anything cold. What a joke!!! It only keeps things cold if you spend more money and buy icepacks, dry ice, or bags of ice to put inside. Really now, think of it, you just spent a lot of money for a cooler only to find out it doesn’t keep anything cold unless you dish out more money on things that will melt, sweat and ultimately mess up whatever you have in the cooler. Oh, but this craziness doesn’t stop there!! !… All those items you just spent additional money to buy also adds weight to an already heavy cooler. Talk about break the bank and break your back… None of this makes any sense! We decided we all deserve better so our QOOLER functions as a portable cooling system. 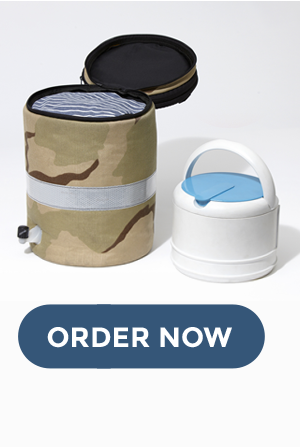 It keeps its contents cool at a temperature range of 36 to 46 degrees for 72 hour intervals… that’s three days!!! How did we achieve this? Hey, this is the 21st century, we incorporated new technology that makes the difference. Encapsulated in the wall of the ICEBUDDY QOOLER is a nontoxic gel which keeps things inside cool, but does not freeze the contents the way ice and dry ice can. It also does not sweat like ice packs. This makes the QOOLER the perfect container to transport medicine and food. The medical community can even use it to ship biologicals, vaccines, and organs… but more about that at a later date. Remember I said earlier that to be prepared at all times, we will require some changes to our current lifestyle. Well, the first lifestyle change you’ll need to make is to use the ICEBUDDY QOOLER, which is designed for everyday use as well as for emergencies. If you want to prepare the QOOLER for a day at the beach, a tailgate party or a picnic, simply place it in your freezer for three hours. Then remove it and off you go!! Everything inside will stay cold. The QOOLER holds up to four sandwiches or a lots of appetizers. Now, when the electricity goes out during a storm, that same QOOLER transforms into your survival container. Place it in the freezer for three hours and remember that when you take it out it can keep things cold for 72 hours… that’s 3 days!! !… If you take medicine requiring refrigeration, place it in here. 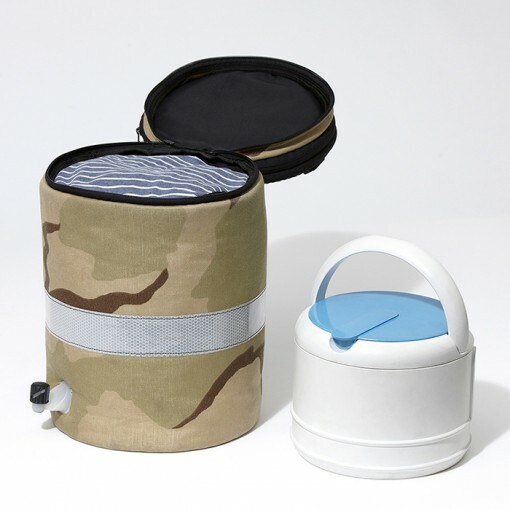 Should you have to evacuate your house, the QOOLER is the perfect carrying case for your medication. If you are forced to relocate to a shelter, know that the QOOLER can be reactivated over and over again by simply placing it on a bag of ice. Don’t forget, every time you go into the QOOLER, the internal temperature will rise slightly, so don’t keep the top off for long. The SECOND LIFESTYLE change you’ll want to make is to use only products that allow you to remain independent and self sufficient. Did you notice that the QOOLER handle is curve? This is a critical new design element. We are all getting older and we wanted to make sure that anyone who has arthritis or limited hand movement is able to open the top with just the pressure from the heel of their hand. On the top is an oblong lip that allows you to easily lift the lid. It also is designed for you to write on it, use a permanent magic marker and write your name or any other important information so that your cooler cannot be confused with any other persons. The innovation of it all doesn’t stop there… Once you lift the lid, you will discover a food grade dish which can be used as a plate for your meals. For those who follow Orthodox religious dictates, find comfort in knowing the QOOLER is both Kosher and Halal certified. Ever find yourself needing something on which to sit down on whether out on a small fishing boat or camping? The QOOLER is sturdy enough to sit on. It is also TSA friendly going through X-ray machines easily. Whether traveling by plane, train, bus or car. The QOOLER fits in overhead compartments and takes up very little space. Told you this was unlike anything on the market. I bet your conventional cooler stored in the garage or closet can’t do all of that? But HOLD ON!! that was just one of the two components of the ICEBUDDY system. I’m not finished yet. Now I want to explain how we have improved what you know of as being a back pack. 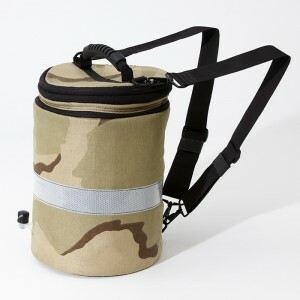 The ICEBUDDY QPACK is a modernized backpack made out of materials that meet military specifications. In other words, this is not going to fall apart. It is being made by the same company that makes our US military parachutes. Only the BEST for you. Look at the shape of your conventional backpack. The QPACK has a newly conceived cylindrical shape that increases its function. This unique design goes beyond enabling you to just carry your personal items. Behold the difference!!! The QPACK can allow you to pour in 120 ounces of your favorite drink, inside its bladder, and access it from an attached spigot. The QPACK can not only carry a 10 pound bag of ice, but captures the water created when the ice melts, so it becomes drinking water for you and is not wasted. The QPACK can also transport a dozen, 16 ounce water bottles or the equivalent in cans of soda, beer or whatever suits your taste. Oh, but it’s functionality does not stop there! The QPACK is equipped with a zipper compartment for your valuables and important documents. Need to have a change of clothing with you, no problem, the QPACK comes with its own clothing bag? Don’t you just hate it when you only have one or two options by which you can carry a bag. Don’t worry. The QPACK strap configurations, allow it to be carried 5 different ways. AND, Why should the able bodied be the only ones able to get around and have fun. The QPACK is for EVERYONE.. young, old able bodied and handicap. You see, it was also designed to fit on wheelchairs and walkers. Nothing on the market does all of this. Just when you think this bad can’t do anymore, you will discover the top of the QPACK is capable of unzipping allowing it to expand to carry it’s BUDDY the QOOLER or any additional things you want to throw in. Old backpacks and coolers become obsolete with the introduction of the ICEBUDDY system. Hey, are you ecology minded? Until then, remember to KEEP COOL and CARRY ON!